It would have taken a forecaster of the most extraordinary power to predict in the early days after the General Election when the Labour Right were rampant explaining Labour’s defeat on being too left wing, not Blairist-Brownite enough, that in September Jeremy Corbyn would be Labour leader. By this time next year there will no doubt be an avalanche of books, some sympathetic, some not, seeking to explain The Corbyn Insurgency. But that doesn’t mean there’s not already an awful lot of decent reads to help shape thinking about this late flowering of Labour as Britain’s new radical left party. One of the best places to start is with an understanding of the widespread disaffection with Westminster Bubble politics. This is what #jezwecan connected to in and around Labour and will need to extend that connection far wider if electoral success is to follow, especially next year in London and Scotland where key elections will be held. Peter Mair’s superb short book Ruling the Void is rightly regarded as the essential text on the subject. It is a tad early to identify where the new thinkingwill come from to provide the basis for the open-ended radicalism that Corbyn promises to become the new face of Labour. But one thing is for sure sticking to good principles isn’t the same as being restricted to old certainties. The brilliant Inventing the Future is testament to that, a post capitalist politics that understands social, economic and cultural change without being seduced by it. But for a single volume to provide both a compelling read and more than enough newl thinking to write the next Labour Manifesto look no further than Paul Mason’s outstanding Postcapitalism: A Guide To Our Future. But of course its not enough for a Corbynist Labour Party to promise a better tomorrow, the radical appeal needs to be rooted in improving the here and now too. No writer has done more than Danny Dorling to develop our understanding of the consequences for us all of the inequality that affects some more than others. 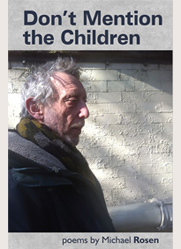 Two of his classic works of recent years have now been fully revised as post-election editions. Injustice: Why Social Inequality Still Persists and Inequality and the 1% are two essential reads for a politics to make a difference. Nobody likes a tax dodger, closing down tax avoidance is not only the right thing but is just the kind of populist leftism that suits Corbyn's Labour. Gabriel Zucman’s new book The Hidden Wealth of Nations is set to be a key text on one aspect of this, tax havens. More broadly the closest thing yet to what is already being dubbed ‘Corbynomics’ are the ideas of Richard Murphy, prominent campaigner for tax justice. Handily his new, and very accessible for non-economists, book is out with surely the best title of the quarter The Joy of Tax. In Scotland a Corbyn effect has already happened, its called the SNP and reduced Scottish Labour to a rump party. There may be some kind of recovery at the 2016 Scottish Parliament elections but unlikely enough to make more than a small dent in Nicola Sturgeon’s hegemonic position representing Scots progressivism. Labour will be forced therefore, willingly or unwillingly, to address ‘The English Question’. 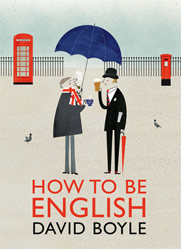 Don’t be fooled by the lighthearted tone David Boyle adopts in his magnificent book How To Be English this is a richly incisive book to help address what kind of mix a hegemonic English progressivism might end up looking like. 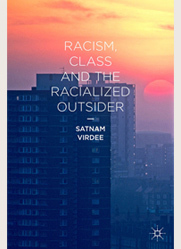 Satnam Virdee’s Racism, Class and the Racialized Outsider is that rare thing nowadays, an academic book that not only engaes with a wider public but also provides a sharp campaigning edge to the analysis. Historical and broad in its coverage this is one of the best accounts of contemporary racisms published in a good long time. If Corbynite Labour is to really challenge the mainstream consensus on immigration Satman provides the kind of thinking necessary fo that vital project. It was no accident that the first ‘test’ Jeremy Corbyn faced was the singing of the National Anthem (sic) at a commemoration of the 75th anniversary of the Battle of Britain. There will be many more such so-called ‘tests’ for him to face between now and a 2020 General Election. More than almost any country English national identity is warped by too close a relationship with both the martial and the imperial. In that mix how WWII is defined is of particular significance. Robert Gildea’s gargantuan account Fighters in the Shadows is one very useful way of appreciating that conflict as an anti-fascist war in which popular resistance played a not inconsiderable role, and the politics of that resistance, in France as well as elsewhere, would often be communism. 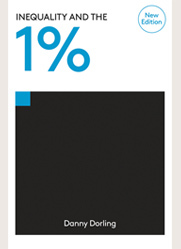 Not quite how the British Establishment marks these commemorations is it? Fighting On All Fronts edited by Donny Gluckstein magnificently extends this critical point to champion resistance movements of Algeria, Slovakia, Burma and the Philppines as well as internal oppositions in Ireland, Australia, Japan and elsewhere to subvert the traditional means of understanding World War Two without ever losing sight of the essential cause of anti-fascism, then and now. Corbynite Labour at its best will combine both a politics framed by new social movements and a process of reclaiming and remaking old traditions and principles of socialist Labour. The recently re-issued From Serfdom to Socialism by Keir Hardie is an excellent starting point for the latter while John Newsinger’s Them and Us is an excellent pocket guide to the momentous period, 1910-1939, in which the British Labour tradition was more or less founded. But of course the history of the British, and international left, is not restricted to Labourism. It seems more than likely, given his past record, that Jeremy Corbyn will be considerably more open to drawing on these other contributions than any Labour leader of recent times. It will be up to others to choose to creatively reciprocate. The Leadership Election ‘purge’ of thousands who had applied as Labour supporters to vote suggests however that plenty remain prepared to block any such dialogue by means, fair or foul, at their disposal. 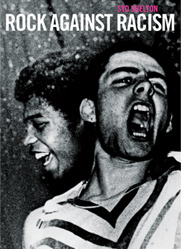 The journal Twentieth Century Communism provides a regular digest of all that could be good in such a relationship, its latest edition chronicling the imaginative diversity of a political culture framed by communist ideals from France in the 1930s to Germany in the 1960s via music , Eurocommunism and street-fighting protest. From Kirstin Ross Communal Luxury adds to a growing literature which seeks to explore and explain the founding ideals of the Communist vision. Kirstin recounts both the impetus behind the Paris Commune of 1871, a key part of an idealised version of early pre-Soviet communism but also its enduring inspiration today. The towering majesty of what the Communist ideal was once capable of inspiring is superbly captured by Owen Hatherley’s Landscapes of Communism. His book is subtitled as ‘ a history through buildings’ but this is too modest, Owen has pioneered a style of writing that borders on the unique combining well-written travelogue, incisive design commentary and bold politics. A captivatingly unusual mix. No single thinker has done more than the Italian theorist and writer Antonio Gramsci to influence the case for the continuing relevance of at least parts of an early twentieth century revolutionary tradition. 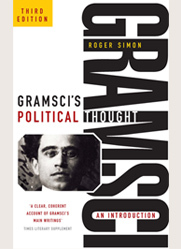 A welcome new edition of Roger Simon’s Gramsci’s Political Thought has just been published, without much doubt the best introduction to Gramsci and excellent timing for the Left revival. Of course support for Corbyn cannot be characterised as crypto-communist, though elements of the media lunatic front will do their worst with such labelling. But the scale of his support and the unique nature of his politics as an elected Labour Leader means the idealistic impulse that he represents to all intents and purposes now occupies a space on the Left so definitively no other formation of any significance is likely to get a look in. So musing over the communist tradition in these circumstances does have some merit. Nicholas Deakin has edited a most interesting collection in this regard, Radiant Illusion? 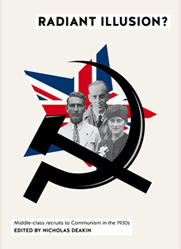 traces the history and experience of middle class recruits to the British Communist Party in the 1930s, a period when Communism, just like Corbyn today, had no serious rivals in terms of radical appeal, and as a result enjoyed significant cross-class support. Not quite the same as the Blairist-Brownite futile hunt for the middle ground still peddled today by the likes of Tristram Hunt and Liz Kendall. Geoff Andrews’ magnificent The Shadow Man covers similar ground while focussing on a single individual, James Klugmann, a key figure in the British Communist Party’s political development both in the inter-war years and post-war too. This is political biography at its best, weaving the individual and the movement they were part of together into a single compelling narrative. Much of the Marxist Left has never really reoriented since ’89. Battered by fundamental challenges to its most basic principles – Blairism, an Islam of varying versions of militancy, the precariat, civic nationalism, climate change and more – not only losing its appeal but its way too. It is refreshing therefore to read the latest from Neil Davidson, We Cannot Escape From History a writer never shy to polemicise, yet with a turn of political phrase that has the capacity to persuade too. Richly historical, splendidly accessible, this is what good Marxist writing should read like. Remaking the political begins for many by placing parenthood and children at the centre of politics unlike the fringes at best where they, and the issues they are most concerned with, too often find themselves. Jessica Lahey’s The Gift of Failure carefully and sensitively seeks to deconstruct the modern cult of over-parenting towards a childhood founded on the right to take risks and make mistakes. From the Mixed-Up Files of Mrs Basil E. Frankweller and The Secrets of the Wild Wood are two childrens’s books from the ever impressive Pushkin Press who positively celebrate risk-taking, magical or real, as they weave the most marvellous tales around urban and rural wonderlands. 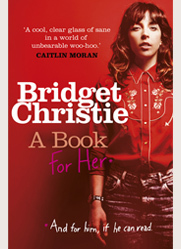 Note: No links in this review are to Amazon, if you can avoid purchasing from tax-dodgers please do so.